Baton Rouge Home sales remain strong. 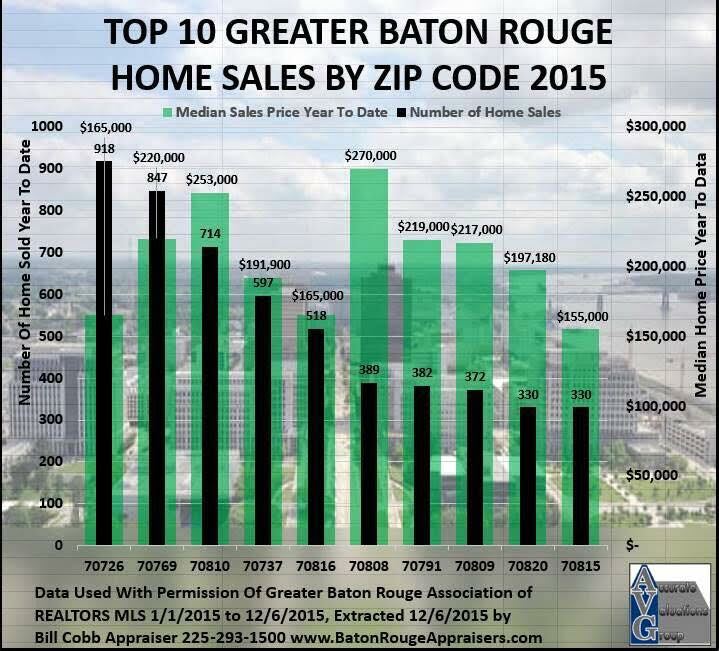 In South Baton Rouge 70810 Home Prices Increased 5 Percent in 2015. While there is some variation area to area, Baton Rouge Home Market has a very good upward value trend. This is created by a strong influx of new buyers with Louisiana having a policy for the past 10 years of encouraging companies to relocate to the state. The chemical corridor along the Mississippi River also brings people to the area. Fortune published a real estate housing market prediction including Baton Rouge Metro homes that predicts Some Louisiana cities like Metairie near New Orleans will be one of the hottest markets and also pointed out that a Trulia survey shows Baton Rouge is in the top 10 best cities in the United States to live in, competing with cities like Austin and San Antonio TX . Because a home is the largest, most important investment most locals make in their lifetimes. Because of the importance of getting this decision right, housing market facts, trends and analysis are provided to help locals execute competent, informed home purchase or home selling decisions. Contact us to help you with market trend information; and when necessary we can put you in touch with local appraisers skilled in appraising your home.